Meant For This Blazer — . People are taking to serious in this new blazer! Belle sleeves and a tie up detail on the sleeves! Sign up with your email address to receive coupons, news, freebies and more! We respect your privacy. That means we won’t sell your information to other weirdo sites! Thanks, girlfriend! We’'ll be sending you some offers soon! 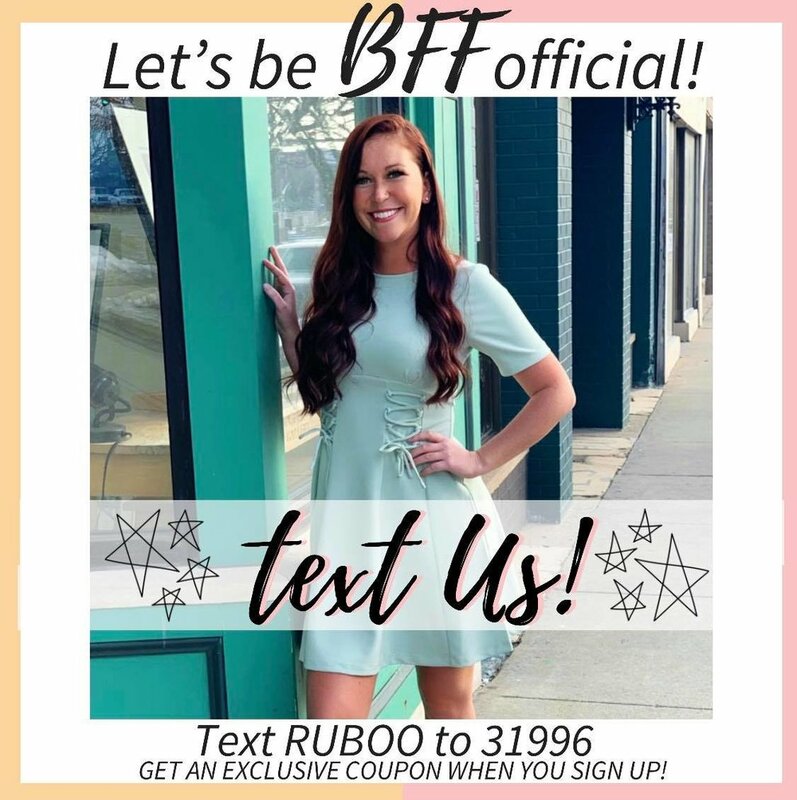 Be a part of our TXT VIP group and get the ultimate scoop anytime we make an announcement, do a giveaway, give coupons and more!